If you have never had a reading done before, I’d love to invite you to come and try one out. I have several options on offer – short email readings, face to face via Skype for half an hour or a whole hour. And if you don’t have time due to a busy schedule, book a recorded reading and I’ll send you an mp3 within 48 hours. 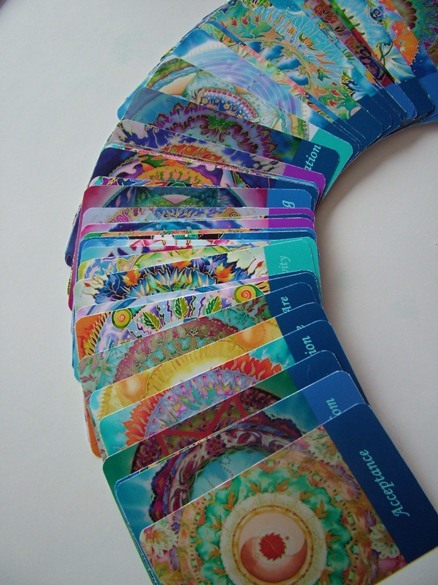 I do all my readings using my very own mandala oracle deck, ‘A Sea of Calm’. This deck is now in its second edition. If you’d like your own copy, here is the link: Mandala oracle deck. My regular hourly Skype readings are available at £20 for half an hour. This rate will be available by clicking on the appropriate links below without any special code. If you would like to book a full hour reading, this will be available for £40. Experience a live session with Fiona. A unique blend of oracle cards, tarot and intuition expertly blended with an infusion of counselling and coaching. Being honest and dropping the stories restores the calm. And being calm enables you to know the next step. See full list of readings below. Get clarity before making decisions: whether in career, family, love and relationships or just in life generally, it can sometimes be a huge help to get some guidance and see what potential is waiting there to be tapped into. See where you might be standing in your own way: sometimes you can’t see where you are actually blocking your own progress. Having a reading can help you clear the way and move on from a stalemate. A reading whether live or recorded with Fiona is like a snapshot which harnesses the energy prevalent in your life right now and gives pointers to potential outcomes and courses of action. It will help to give you that push that you need to move things on and get honest with yourself. I’ve always loved tuning into spirit and sharing insights and guidance with those who felt drawn to me. My readings come from a non-judgmental place, allowing you to see a situation as it really is and take steps that will serve you well. This often involves taking a heart-felt but tough approach so that you can drop the stories that are holding you back. I offer individual intuitive tailor-made readings which can be either live online via skype, by telephone (UK) or sent to you as an MP3 file to listen to at your own leisure. The sessions I do are especially personalised through the set of cards I have developed from my own artwork, my mandala paintings. 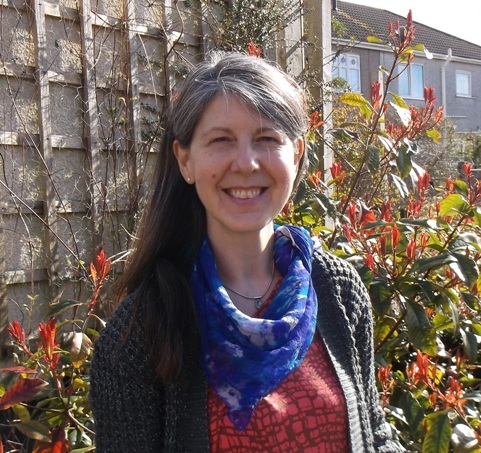 I receive many additional insights through using additional tarot cards if need be, my strong intuition and my counselling and coaching skills in the field of self awareness. We can look at where you are right now and what lies in the near future. Together we can see what action might best serve you. It’s up to you whether you come for general guidance or decide to ask specific questions as we go. I also offer detailed month by month readings which give you a rounded picture of the year lying ahead. We can take a detailed look at each of the areas of your life and see how you can break the deadlock and move forward. Contact me at fionastolzeworkshops@gmail.com or info@fionastolze.com and let us put together a session or series of sessions that would best serve you. I look forward to hearing from you. I do not seek out very many intuitive, guidance, psychic readings – as I am an astrologer and I am also very intutiive – but sometimes its good to have someone that completely gets inside of you and helps you understand YOU better. Fiona helps bring it all into perspective in such a loving heart felt manner. 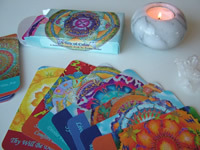 If there is something going on in your life, and you need guidance from someone, I would highly suggest Fiona from Silk & Art, she simply radiates love – the link to get to her offers is here: http://fionastolze.com/live-card-readings Really, Fiona is a blessing and loving kind soul, thank you Fiona – simply for being your wonderful you! Peace, Love and Happiness to you Fiona. I called your show on Blog Talk Radio in January 2012. I was the last caller that day. You saw a man asking me to step out of my comfort zone so to speak…. and maybe leave the state. I knew the man you you were picking up on . I heard from him yesterday. He is somewhat of a famous person in certain circles and used to be my boyfriend way back….. he asked me to come to his city to a show he will be in.. I wont be able to go for many reasons but i just wanted to give you feedback on the reading and how accurate it was. Thank you very much. The introductory price for the reading and painting is £195. Hi Fiona, can you pull me a card today please? Not just Fiona’s reading is amazing, her Mandala workshop too! With her Tarot card guidance, her reading talked what was inside my heart. Thank you again for offering an affordable reading price to us. Fiona, thank you, you are simply a beautiful soul. I appreciate and loved my reading, it was just what I needed to hear!